Some of the biggest treasures that landed in farmers' fields that night are still unfound, said a University of Calgary researcher who has been leading the search for the rock fragments. "We can see on the videos that there were three big pieces that continue here. And those aren't found yet," Alan Hildebrand told CBC News Monday. 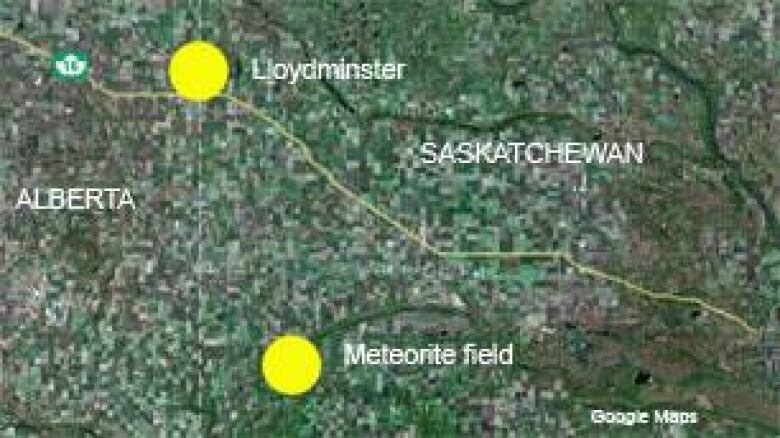 The meteor plunged from space on Nov. 20, shattering on its journey through the Earth's atmosphere and scattering meteorites around Buzzard Coulee, about 40 kilometres southeast of Lloydminster. The meteorite-hunting team announced Monday that the event has already yielded the most meteorites ever recovered from a single meteor fall. 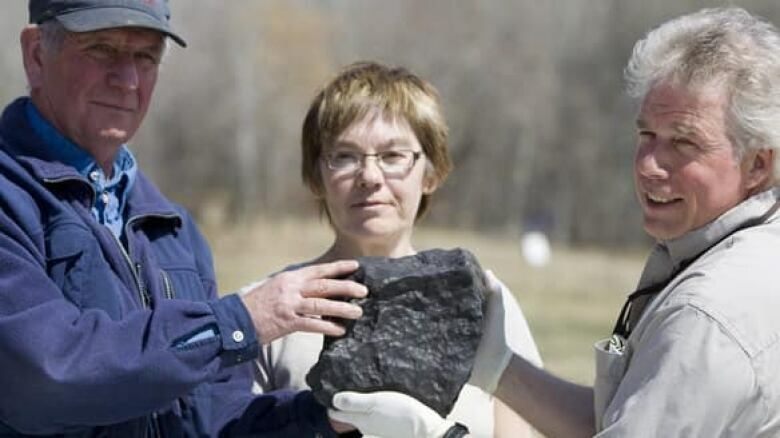 The previous record had been 700, set in 1960 by a meteor that hit the ground in central Alberta. Hildebrand said mapping the farmer's field of smaller meteorites is helping to predict where those three big ones may have landed. He and other meteorite hunters returned to the site of the meteor fall about two weeks ago, after the snow that had covered the field for most of the winter melted. He said the team expected to remain at the site through May, but isn't sure how quickly the grass will grow and hamper the search, as that will depend on the rainfall and other weather conditions. "You know, as long as the finding is good, we'll keep at it because our past experience is — a day searching now is worth a hundred days searching next summer," he said. 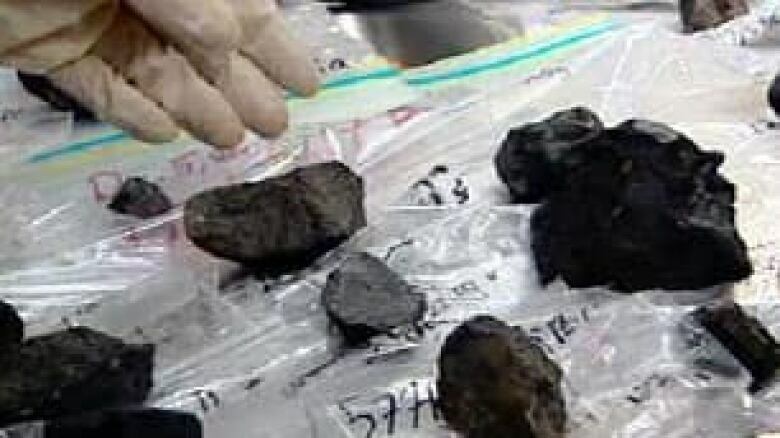 The Canadian Press reported Monday that the University of Calgary team had found 400 meteorites so far, hundreds more had been found by members of the public, and dozens more meteorites were being found each day. Hildebrand said volunteers from the public are welcome to search on their own for additional meteorites, but will need to get permission from the landowner of the property where they are searching. Under Canadian law, meteorites belong to the owner of the land on which they fall. The largest piece of the meteor found so far was a 13-kilogram chunk — which had about the same mass as a two-year-old child — that landed on the property of Alex Mitchell.